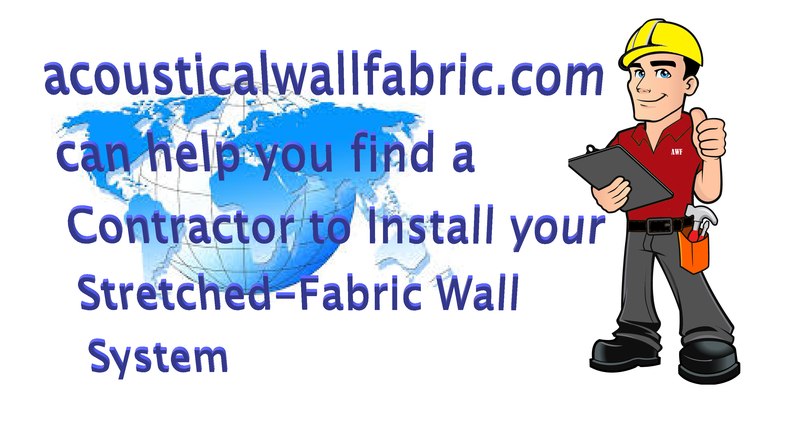 Excellent choice, you have decided to install a Tech-Wall Stretched-Fabric Wall System on your project. Make sure you choose a qualified professional who has the knowledge and training to do the job safely and effectively. Contractors come in all shapes and sizes, with varying degrees of experience and expertise so choosing the right one can oftentimes be difficult. This is why acousticalwallfabrics.com partners with a small group of independent contractors throughout the United States who specialize in the installation of Tech-wall’s Stretched-Fabric Wall Systems. Whether you’re a general contractor who has a Tech-Wall Stretched-Fabric Wall System specified on your project, A School Maintenance professional trying to update aging tack boards in Classrooms or a (DIY) do it yourselfer constructing your own home theater or music room acousticalwallfabrics.com can help you find the qualified contractor needed to make your project a success. Acoustics & Noise Reduction is often overlooked when designing rooms. Tech-Wall’s “Stretched Fabric Wall System” will vastly improve the acoustics in any room. By reducing the reverberation, speech will sound clearer and sound transmission between rooms will be reduced. This translates into a quieter study area and a more enjoyable learning,working and living environment. The standard reflective Drywall & Paint even Vinyl wrapped panels are detrimental to the acoustics of a room.